In an exclusive conversation with People Matters, Prof. Paul Kelly of the London School of Economics and Political Science spoke shifting skillsets and the need for life-long learning. Building skills in cross-cultural communication like learning languages and the contextualization of critical thinking is going to hugely important. Prof. Paul Kelly is the Pro-Director for Education and Professor of Political Theory at the London School of Economics and Political Science (LSE). 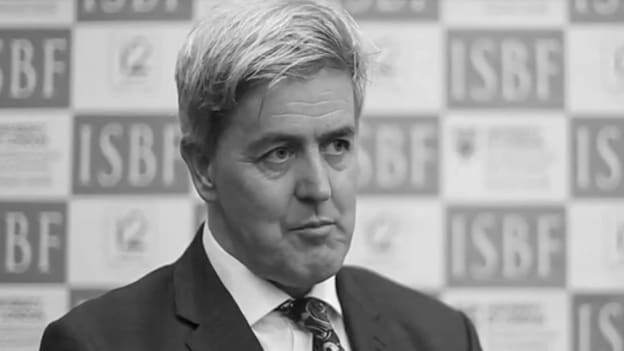 In an interview with People Matters, during his visit to the Indian School of Business & Finance (ISBF), a featured training institute of LSE in India, Prof. Kelly talks about the key challenges in the education sector, how to inculcate lifelong learning and key skills that will be critical for the future. In the age of AI and digital disruption, what according to you are the top challenges in education? What are some of the biggest shifts you’ve observed in the last five years? There are a number of challenges. The first is the ever-present challenge of competition. Competition for jobs, opportunities and in a university context, for faculty and students. Related to that is mobility. And it brings along a number of concerns around migration and immigration regimes and so on. It’s a major issue in countries like the UK, which is in the midst of Brexit. The value of higher education as a need for employment and employability and the kind of skills that an education in two-three years can provide for the future is another challenge. How do you prepare for lifelong learning in the long term? Let’s talk about one of these challenges – Lifelong learning. Given the fact that the shelf life of skills has reduced, what does it take to foster this trait? What is the role of the education sector and corporates? There are two sides to the argument here. When I talk to employers, they often say that the skills that students come out with don’t prepare them for work in their company. Some of these skills, we can bring in to the curriculum, particularly at the top end, which is individualized outcome focused education. But employers and those heading into entrepreneurship are looking for ways to lead and to work together – Collaboration, working in groups, leading, following, delegating tasks by breaking things down, those are things that employers are looking for, and those are things that can be built into the way curriculum is delivered. It calls for an understanding of how curriculum and assessments can be transformed to build skills through regular and supplementary courses. The second part is to do with learning. To build a relationship with learning that will continue throughout the career. It is the capacity to inquire, to develop, to improve knowledge throughout the lifecycle work, so it’s not necessarily just the short term technical skills with implications to the digital economy and artificial intelligence. But the whole intellectual capacity with character, having the commitment to re-learn and improve on your learning. A number of top universities are thinking in terms of establishing a lifelong connection with their students, so after a first or a second degree, they may return at different stages for short course, that can be used to upskill them on the latest developments. It’s something universities should do and it’s also something that employers are looking for. With the recent socio-political movements (with Brexit, closing borders and bringing anti-immigration laws) in the West, how is talent mobility going to be affected? Talent mobility, skills migration, and labor market flexibility is a big challenge area. It’s also often controversial. But it’s the long run that matters, some of the short-term challenges will need re-focused govt. attention on the need for flexibility. For example, in the university sector, there is competition for leading faculty. And that is a global market. Any university that is going to be nationalistic in terms of its hiring policy will cease to be a university in the short run. LSE has a global faculty and India and China are represented significantly. Despite the continuing political rhetoric about protectionism and hostility to immigration, I think the challenges are real but temporary. There’s widespread focus on STEM education in the context of future-ready skills, what are some other skills that are important? In an age of artificial intelligence, high-level quantitative skills will always be better. And we want to encourage and reward that. At the same time, there are going to be opportunities that are not technologized by machines. There is work that is going to be done face to face. Building skills in cross-cultural communication like learning languages and the contextualization of critical thinking is going to hugely important. Critical engagement, analysis, argument making, that’s the bit that human beings are good at. It’s not simply the acquisition of knowledge but the creation of knowledge. That’s one of the things we do at the Indian School of Business & Finance (ISBF) is to encourage that kind of learning and skill set for the future. What are your observations on learning or skilling gaps based on your interaction with students from the region? I can’t make any fine print judgments since I’m not an expert in this region. But the students I’ve come across both at LSE and ISBF have fantastic skill sets. My view of what will be required for the future is a greater attention to critical engagement, challenging knowledge – which means developing arguments and having the confidence to take on what is already there. The third thing is to apply and innovate, and train the mind to be open and forward-looking.